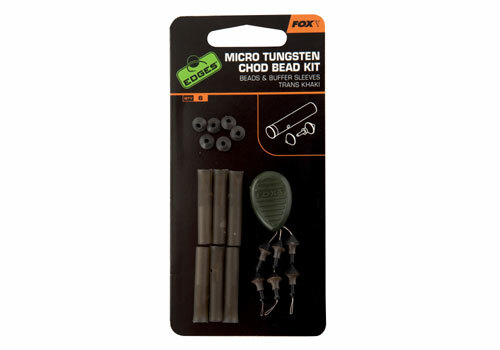 Micro Tungsten Chod Bead kits have been manufactured in a semi translucent khaki colour to blend in on the lake bed and are weighted to ensure maximum rig concealment. Designed with a plastic Slik® insert for improved rotation of the swivel, the bead slides directly onto the mainline without a leader. During the fight the bead slides down the main line into the buffer sleeve. The buffer sleeves also feature a moulded hole to allow the rig to be set up with a drop off lead.